Product #17954 | SKU ATOMDTP001 | 0.0 (no ratings yet) Thanks for your rating! 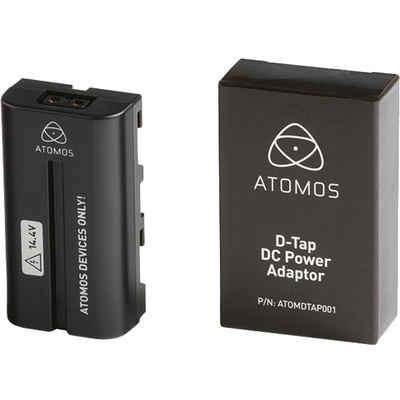 The Spare D-Tap Dummy Battery from ATOMOS is designed for ATOMOS Ninja and Samurai Hard Disk Recorders. In case the main battery is completely discharged, you can use this spare battery as a replacement. A D-tap adapter is included. A D-tap cable is sold separately.